If you are caring for an elderly loved one, you might be trying to do everything on your own. You are the family caregiver, so it is your job to take care of your loved one, take care of the house, take care of the family, and take care of everything else that might come up, right? One person can’t do the job of ten, and it is important that you don’t try to. Being a family caregiver is a great thing, and you are very brave and compassionate for doing it, but you can’t do it all on your own. There are too many things to think about in the house and regarding your loved one, so while you should never give up, you should try to delegate some of your tasks to other people. For instance, if you have been helping your aging mother bathe, get dressed, and get ready for a family dinner this evening, maybe you could let someone else help you by cooking dinner so you aren’t overwhelmed by all of the things you have to do in a matter of just a few hours. Maybe it would be helpful to have your husband take care of your mother while you go pick up your son from band practice, or have him go pick up your son while you attend to your mother. You don’t have to try to be everything to everyone, and to do everything all at once. Caregiving is an extremely stressful job, and if you don’t take care of yourself, not only could it cause health problems for you, but it could result in you being a less effective caregiver for your loved one as well. If you become anxious or depressed from taking on too much, you may take it out on your loved one by being too stern or impatient with them. Or maybe you will just have no energy to do anything, or you will be sluggish and forgetful when it comes to their care. It is essential to have a life outside of your duties as a caregiver, and one of the ways to make time for this life is to delegate some of your responsibilities. 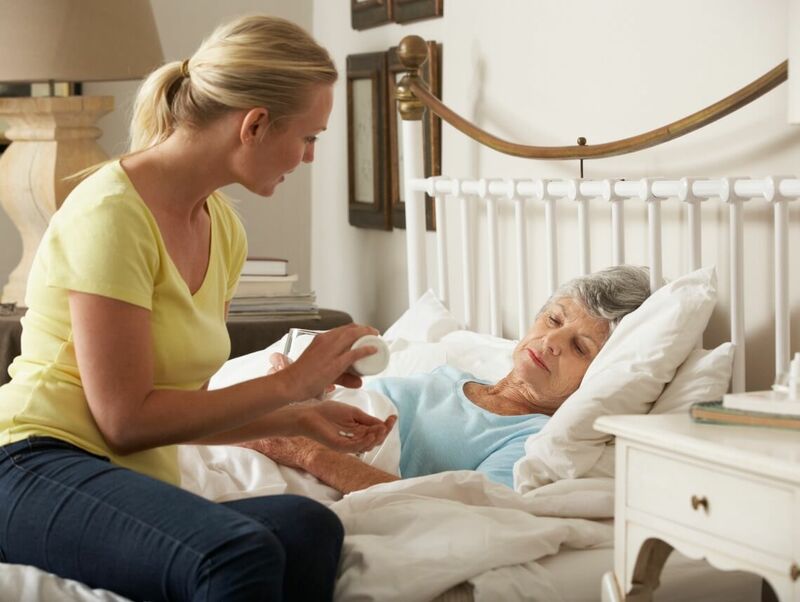 If you don’t feel comfortable hiring home care or letting someone else in the family help take care of your loved one, let them help around the house instead. Even the most powerful people in the world need help to do the things they need to do, so you should never feel ashamed for delegating some of your duties. Delegating the household or caregiving tasks can help you feel less stressed and overwhelmed, but it can also help your family members feel good because they have a chance to pitch in, and because they know that you trust them with this responsibility. Being a good caregiver is not always just about doing what is right for your loved one: it is about doing what is right for yourself so that you can be better able to do what is right for your loved one.